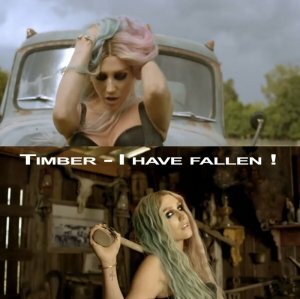 Ke$ha seems to be a great fallback choice in this as Rihanna was busy (no doubt appearing in everything else !) and would have looked great next to (trying to make Pitbul look good) Pitbul had it not been for the fact they filmed at different times. So is this the reason why the production features a rather tiring amount of cuts which is a great example of too many. The dance video would have looked much better had they made a lot fewer. Still it features some great fashion and may inspire some. Pitbul wears some really nice thickened stem Ray Bans and we see that he is having fun with an unknown brunette in the Exumas of the Bahamas. Yes there really are sharks and swimming pigs over there not to mention some of the most stunning music video scenery that you can find. Paul Harrington provides the harmonica throughout which has no doubt made this track sound very original and no doubt gives it great appeal in both Canada and the United States.